FILTER CARE: A good pond filter system is key to a healthy, beautiful pond. Without proper pond filtration, your pond water will not clear, the ecosystem can turn toxic, and your prize koi fish will suffer koi fish disease and infection. Your pond filter needs to effectively remove harmful nitrates, nitrites, ammonia, and organic debris from the pond water. 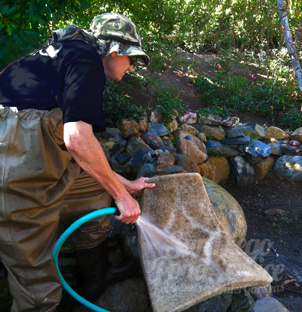 An adequate pond filter combined with regular pond service, will ensure a safe, healthy environment for your koi. 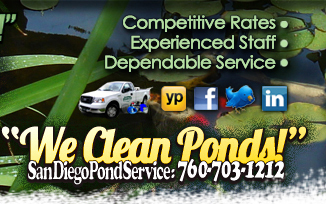 Pond FILTRation: A beautiful koi pond requires proper pond care . 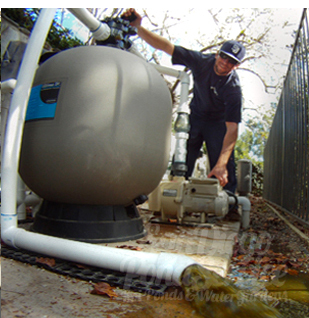 Your filter system helps keep the water clear by trapping floating organic matter and fish waste. Mechanical filters are excellent for removing debris from your pond, while biological filtration helps remove organic toxins, such as ammonia., nitrates and nitrites. Mechanical and biological filtration working together, is the best option for ultimate pond and koi fish health. BIOLOGICAL POND FILTERS: Biological filtration uses filter media, such as lava rock, beads, sponges, bristles, or poly mats to grow beneficial bacteria. This bacteria converts toxic pollutants, such as ammonia and nitrite, into less toxic plant food source called nitrates, in a process called the nitrogen cycle. MECHANICAL POND FILTERS: Mechanical filters use media, such as poly mats, sponges or beads, to capture organic pond debris, muck and fish waste. Mechanical filters are highly effective for helping to clear water, but require routine maintenance. Mechanical filter media should be backwashed and rinsed regularly. 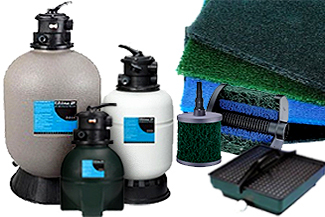 CHEMICAL POND FILTERS: Chemical treatments help remove odors, organic debris, metals, algae, fish waste, colors, ammonia, or other pollutants from your pond.